Fireflies inhabit all continents except Antarctica. They're known by names such as glowworm, moon bug, lightning bug, glow fly and fire devil. Thousands of firefly species exist around the world. Some are very bright; others do not produce light at all. 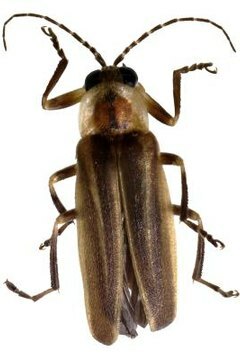 The most common firefly subfamily in North America, Photurinae fireflies have several genera, of which three are the best-known: Photinus, Photuris and Pyractomena. Photinus emit a greenish-yellow light. They are about half an inch long. Photuris emit a dark-green light and are about an inch long. Pyractomena emit a yellow light. Luciolinae is the most common firefly subfamily throughout the world. These fireflies live in Europe, Asia and Australia. They include the genera Peroptyx and Luciola, and emit flashes rather than steady light. The tropical Peroptyx found in Asia will synchronize its light flashes. Japanese fireflies, in the Luciola genus, are known as Hotaru and are thought to be souls of the dead. Lampyrinae is a "wastebasket taxon"—a subfamily made up of species that don't fit into the other subfamilies easily. These species may flash, glow or even not light up at all. These fireflies tend to live in temperate climates, although some are tropical. They include the Lampyris genus, made up of Eurasian species, and the species Phausis reticulata, found in the southeast United States. Both Lampyris and P. reticulata females do not fly. The Lampyris females are larvae and only they glow, hence the name "glowworms." Phausis reticulata are known as blue ghost flies because the males glow a light blue. These insects are very primitive forms of fireflies about which little is known. Some scientists disagree with their classification as fireflies. Some species glow slightly while others don't glow at all.